Composed in 2001 and released in 2002 on the Atmoworks/In The Bubble label. This DataObscura re-release has new packaging and artwork. And is also available for the first time as a download. 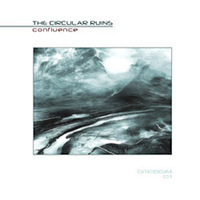 The album is a little more electro-rhythmic than more recent works by TCR, and includes the definitive version of the remarkable and addictive title track, Confluence.